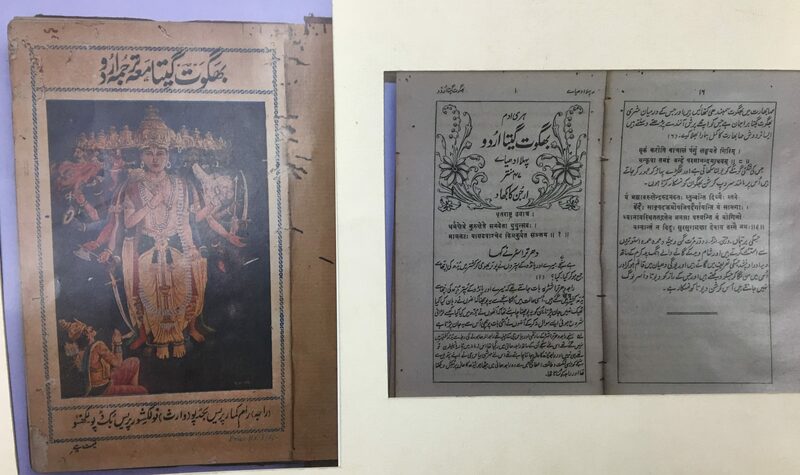 Bilingual Bhagvat Gita in Urdu & Sanskrit published by Naval Kishore press Lucknow almost a century before. Almost twenty-eight years ago few residents of the walled city started an organization “Delhi Youth Welfare Association”. It was Mr. Muhammad Naeem and his friends who initiated a social movement with an objective of promoting education & providing social remedies to the needy beneficiaries of Old Delhi. Their team also distributes the syllabus to the needy beneficiaries of the surrounding locality. Activities were also arranged to boost the motivation of the children towards the modern education. Scholarships were also distributed to fund the education of the meritorious students among the needy cohort. Each year special sessions were arranged for the career counseling of senior secondary students. 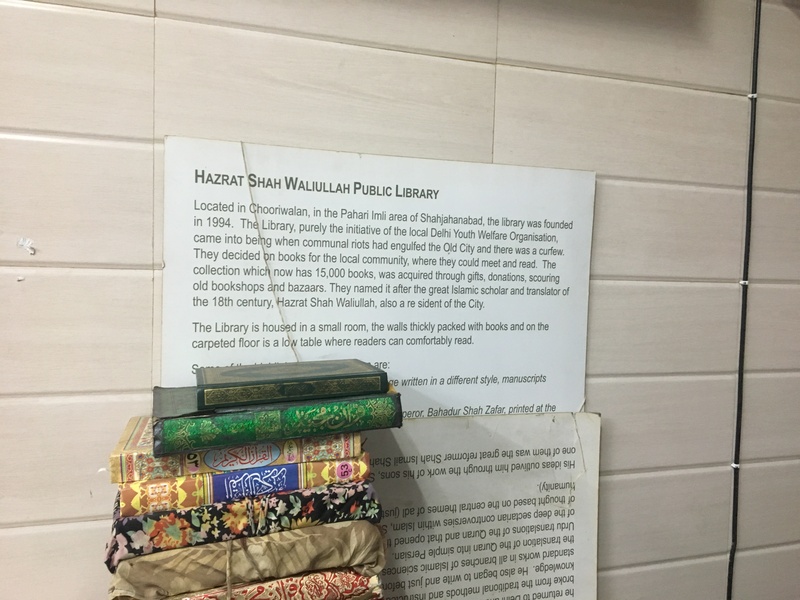 On 21 March 1994, a small room of a size of thirty-five square yards located at Pahari Imli was chosen as the site for the community library. This room belonged to the personal property of the founding member & president of DYWA, Mr. Muhammad Naeem. Sikander Mirza Changezi & other founding members rendered their support for the collection of the valuable manuscripts. 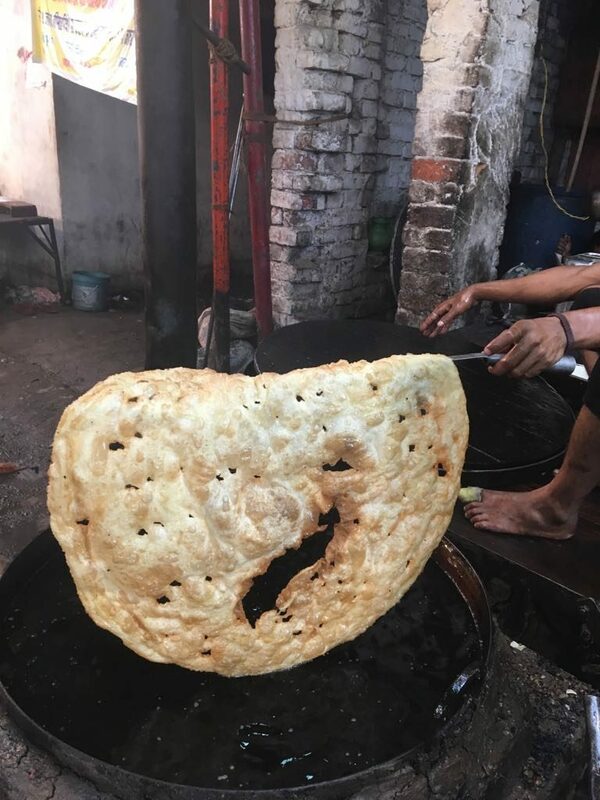 It was named after the great Islamic scholar of 18th Century Shah Waliullah Dehalvi. 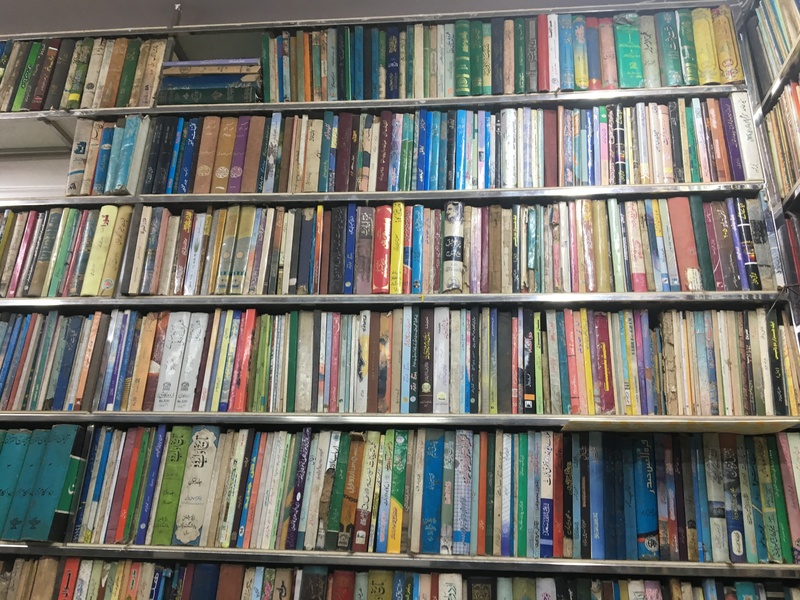 Sikander Mirza Changezi, the librarian & one of the foremost founding members told me that library has a collection of diverse rare manuscripts in five languages i.e., English, Arabic, Sanskrit, Persian & Hindi. 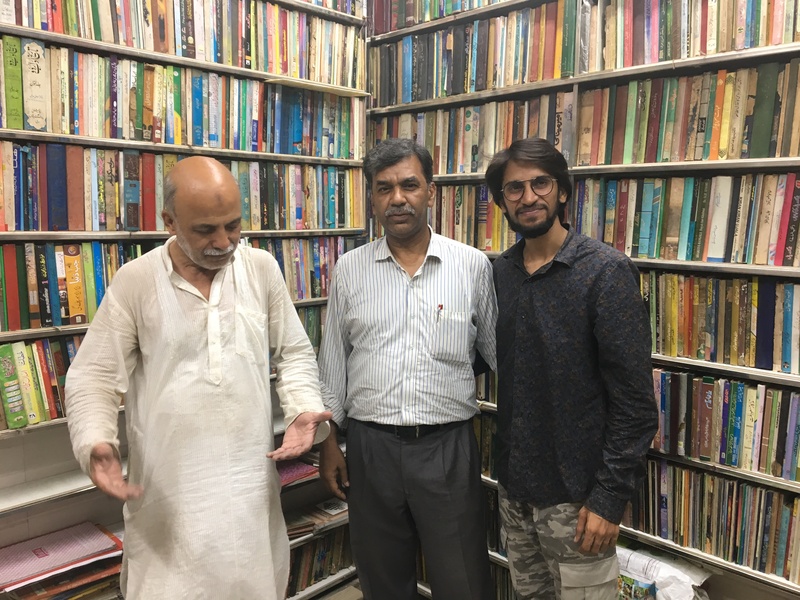 Abu Sufiyan, a young member of the DYWA (an Engineer, history enthusiast & founder of Purani Dilli Walo Ki Baatein) took me to the tour of the wonderful library on 28th June 2018. We reached the place around 8.30 pm after ten minutes of the walk from the main gate of Jama Masjid by passing through the narrow lanes of Matia Mahal. Sikander Mirza Changezi Sahab greeted both of us. During the conversation, I came to know that he is the eldest son of late Naseem Mirza Changezi from his two sons & seven daughters. Born as a fourth child of Naseem Changezi Sahab in 1956, he imbibed the cultural values & love for history from his legendary father. With a fine & eloquent Urdu accent, he sounds like a perfect old Delhi Walla. His father, a great history enthusiast & freedom fighter passed away last year at age of one hundred six. From the family tree, the late Mirza Naseem Sahab was the twenty-third descendant of great Mongol warrior Chengez (Genghis) Khan. It was from this great patriarch, the family carries a surname of Changezi from centuries. On my request, he gave an overview of all the rare manuscript of Shah Waliullah library. With more than twenty thousand books, the library has a rare collection of centuries-old manuscripts in Arabic, Persian, Sanskrit, and Urdu. Almost two thousand books were brought here from the ancestral collection of Mirza Naseem Changezi. My pupils were dilated with the inflow of adrenaline as I passed through the treasure of Shah Waliullah library. Abu Sufiyan & Mirza Sikander Changezi Sahab was answering queries in a sequential manner. First came in more than six centuries old, a handwritten piece on the “Mantiq/logic” by an Arab scholar from Baghdad, Allama Najmuddin AlKatibi. The manuscript was titled as “Kitab Baidul Mizan”. 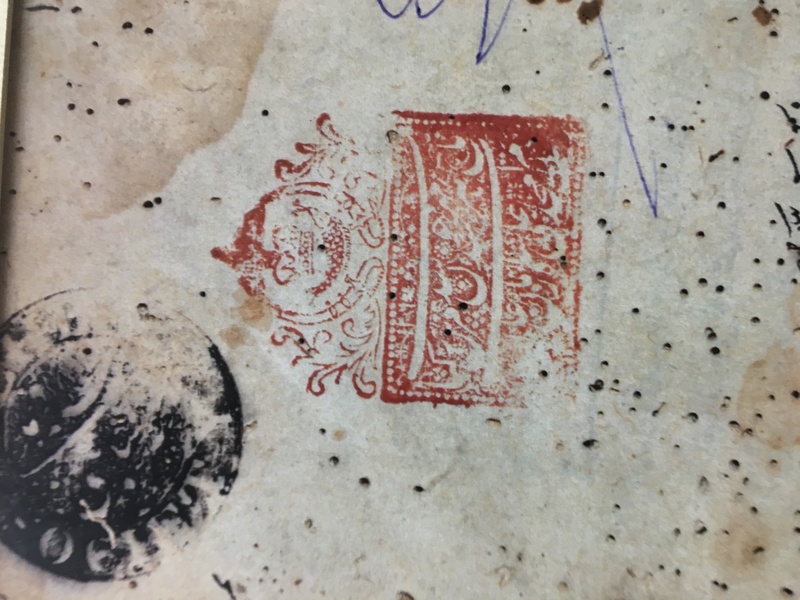 The second one was “Sharae Fattah“, a text in Arabic published from Awadh with original seal of Nawab Oudh. Then one of the rarest pieces was more than a century old “Ramayan” in the Persian language printed from Iran. 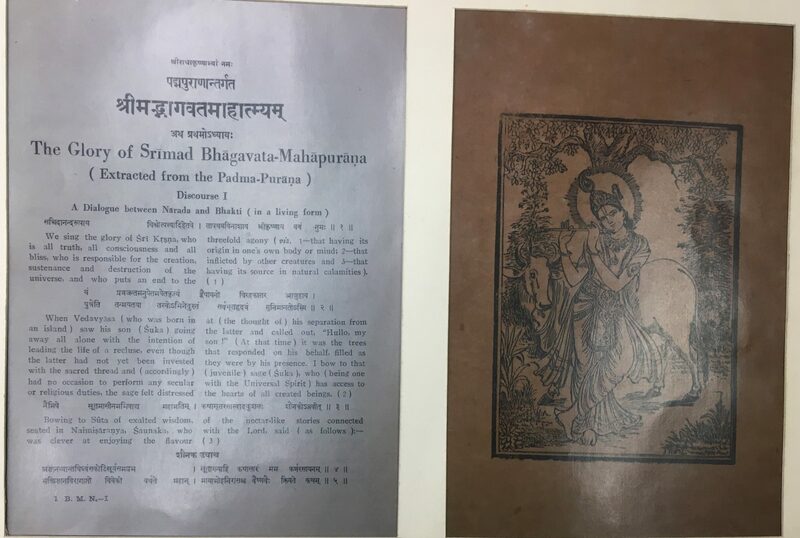 An Urdu translation of “Bhagvat Gita” printed by Naval Kishore press was brought in by Changezi Sahab from one of the overloaded shelves. 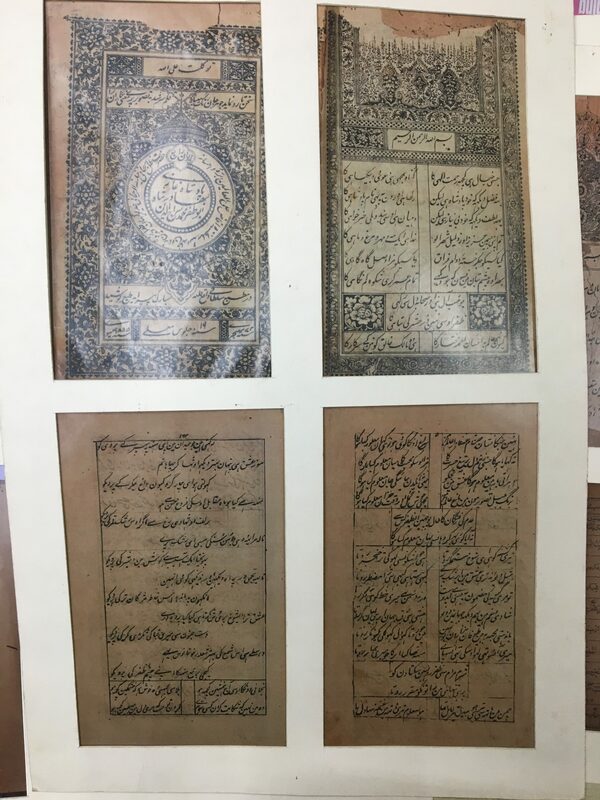 Qazi Syed Ali legendary manuscript titled “Sair Ul Akhtab” that was written in Persian more than two centuries before was also present in one of the corners of this library. 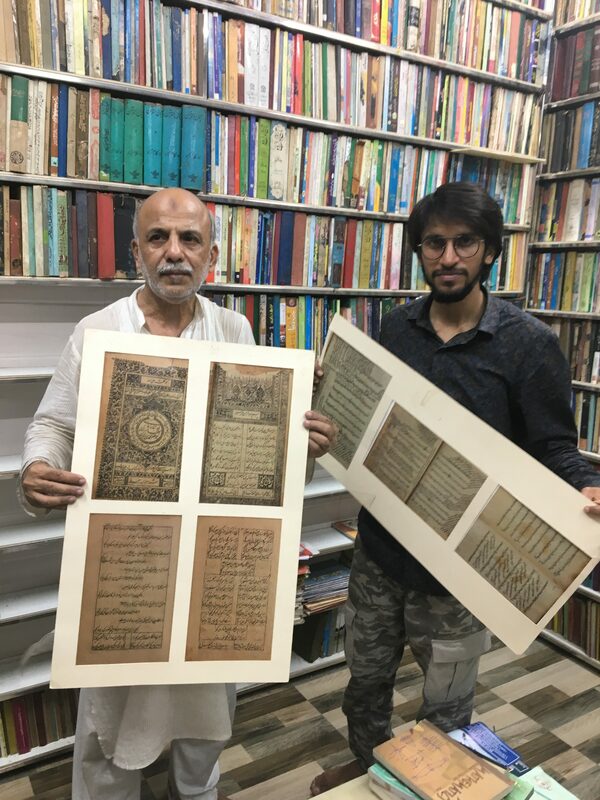 One of the rare copies of the “Diwan” written by the last Mughal Emperor Bahadur Shah Zafar printed from the royal press in 1855 also add enrich this thirty-five square yards library managed by Mr. Mohammad Naeem, Sikander Mirza & other team members. It’s a four pages account of poetic verses with the front page depicting the name of the poet-king in a circle Badshah Abu Zafar Muhammad Siraj Uddin. A Gregorian & Hijri date has been inscribed on it. One of the Punjabi poetry of Ghalib was also included in it. The first page of his Diwan was started with “Bismillahirrahmanirrahim” and the poetry was written in the love of God & Prophet (Peace be upon him). In traditional terms, it is known as Hamd (Praise of God) & Naat (Praise of Prophet). Diwane Ghalib written by the great Poet and Mughal emperor Bahadur Shah Zafar. The year inscribed on cover page in 1855 in Gregorian. An interesting connection can be drawn from the verses of two poets coming from an entirely different context & background. This is the love for the Prophet & his family kindled in their hearts. In contemporary days the neo puritan’s ideologies within the fold of Islam falsely accused these verses as blasphemy. 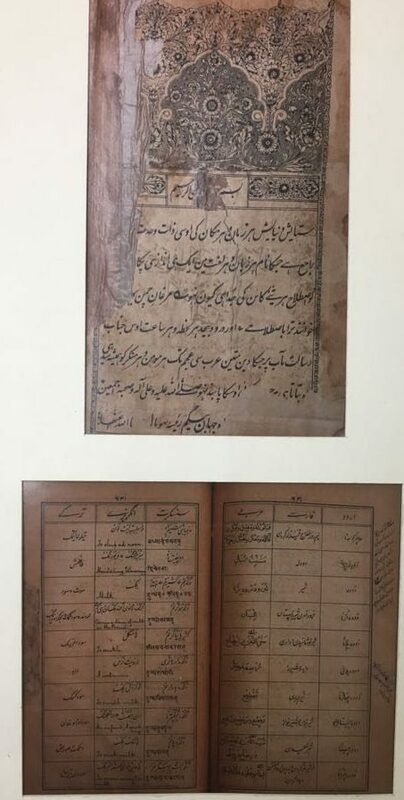 After a lengthy discussion on Diwan of Ghalib, Abu Sufiyan brought from one of the shelves, a rare dictionary compiled by the Begum of Bhopal in 1870. 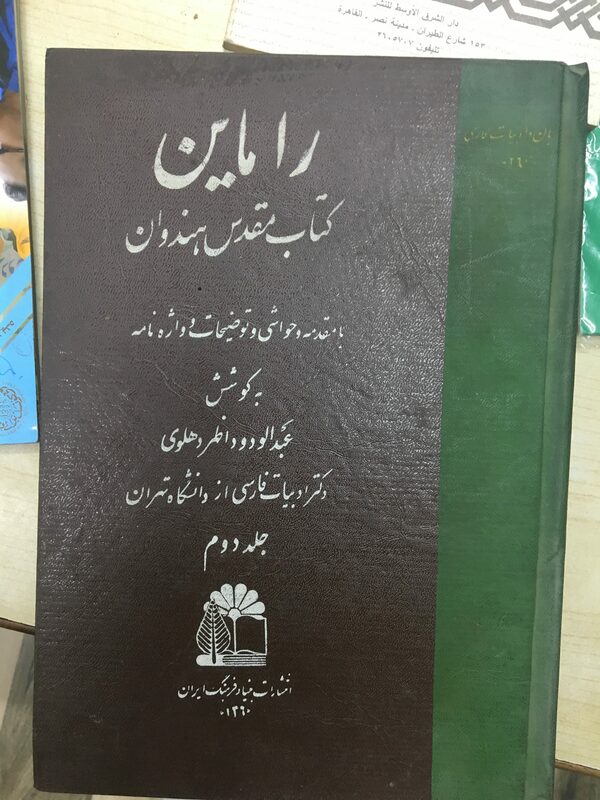 It’s titled as “Khazanatul Lughaat” means the treasure of Dictionaries. It includes five languages Urdu, Persian, Arabic, Sanskrit & Turkish. For a few minutes, I got the chance to discuss regarding the ancestors of Mirza Sikander Sahab. 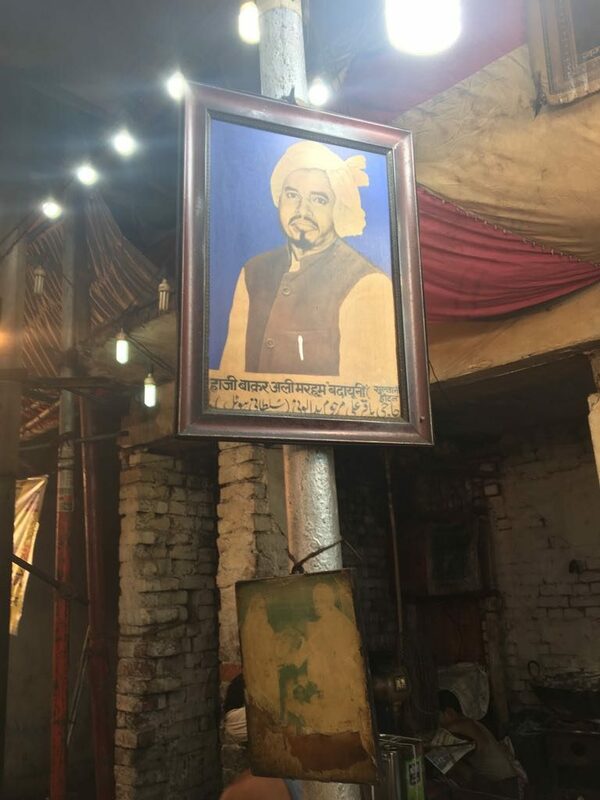 He told his interesting connection with the family of legendary Poet Mirza Ghalib. The second marriage of Mirza Ghalib daughter in law Khursheed Begum (AKA Husn Jahan Begum) took place with his great-grandfather, Mirza Sohrab Changezi. I & Abu Sufiyan were relishing an interesting conversation of Naseem Sahab. 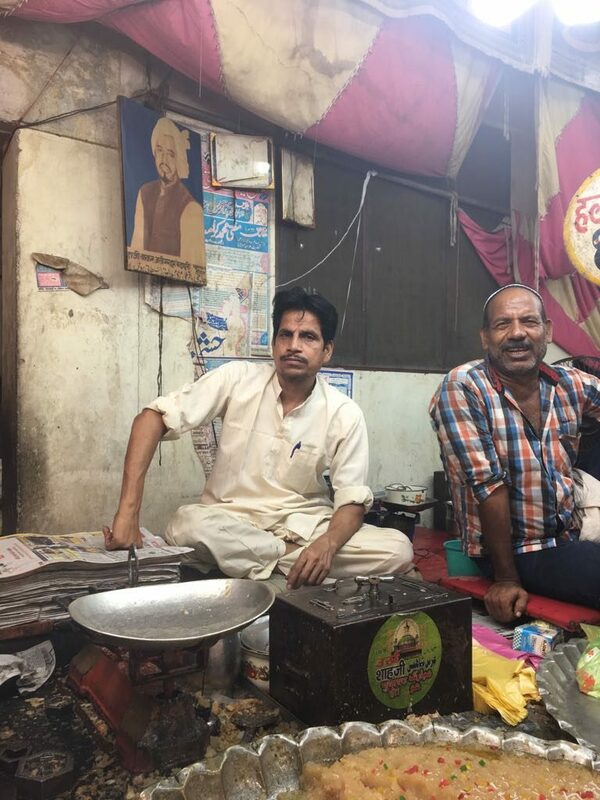 By that time, Mr. Muhammad Naeem came in after closing his shop located in Old Delhi. He gave a detailed background of DWYA association and its efforts for promoting education among the needy. He also showed a complete section lodging the books written by first education minister of India, Maulana Abul Kalam Azad. His great ancestors also belonged to the Shahjanabad & his resting place is also located close to Jama Masjid. In between, he ordered a cup of tea & asked someone one on phone to serve four ek bata do tea. 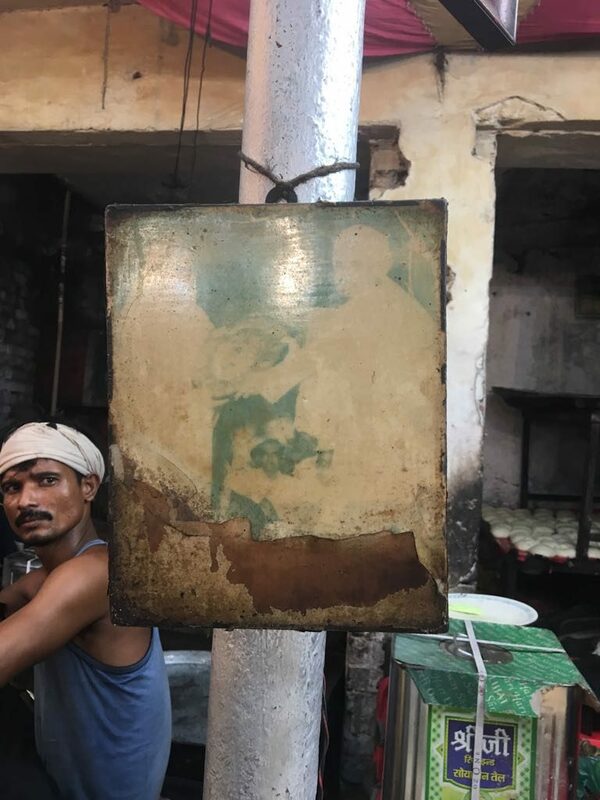 Answering to the curiosity for “Ek Bata Do”, he told this is used for the half cup of tea in the walled city. The library is open for public in morning from 9.30 am to 11.30 am & in the night from 9.30 pm to 11.30 pm. One can come here for reading. Initially, they also lend the books for home reading but more than two hundred fifty books were lost. The time was flying while listening to Mr. Naeem & Naseem Changezi Sahab. They told that many of the scholars came here to find the rare manuscripts. Recently an American researcher came here to find a rare work of “Shah Waliullah Dehalvi”. I received a valuable gift from Mr. Naeem, a more than two centuries old biographical account of Shah Waliullah Dehalvi that was republished by their trust without any changes. While I was leaving at 10.30 am, a research scholar steps in to search some rare manuscript.